Not just sell it, but have a Kirin beer dispensing machine in store for perfect foamy pours. Think a Slurpee machine, but for beer. As Yahoo! News Japan and PDR-san report, 7-Elevens in Japan were supposed to have beer machines as a test rollout at several branches. A small cup of beer would cost 100 yen ($.89) and a medium 190 yen ($1.69). Of course, you could always buy canned beer, but these machines were supposed to give people frothy brews at rather cheap prices. But 7-Eleven announced today that it won’t be serving beer. But why? The country doesn’t have open container laws and while it’s rather gauche in Japan, you can legally drink on the street. According to Yahoo! News Japan, 7-Eleven said the demand and interest have been exceedingly high, so it decided to suspense the rollout due to sales structure. 7-Eleven Japan said whether or not it will resume the rollout is TBA. 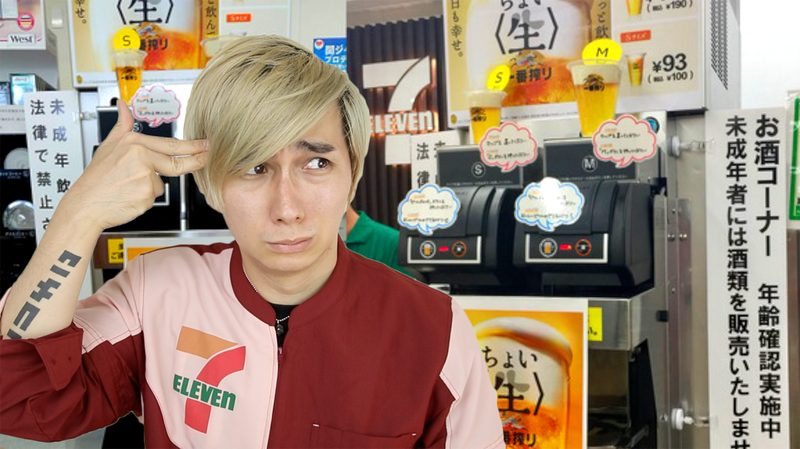 As PDR-san points out, however, the self-service coffee machines in Japanese convenience stores are already too complicated for some customers, so adding alcohol into the mix, and it could cause all sorts of problems for stores and employees. That is speculation, but it seems like a more likely reason.